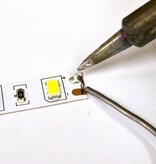 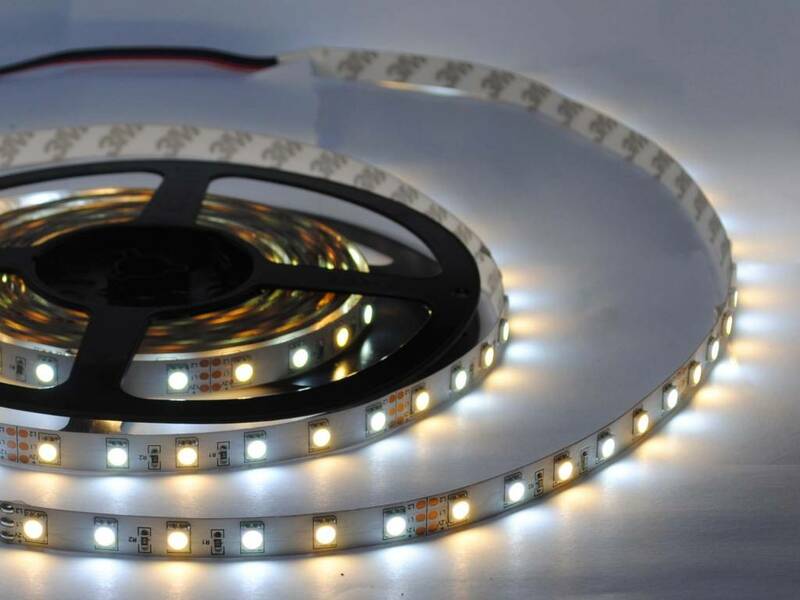 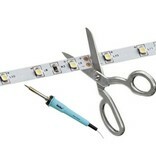 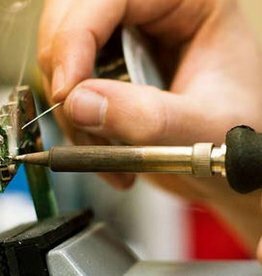 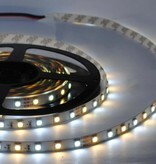 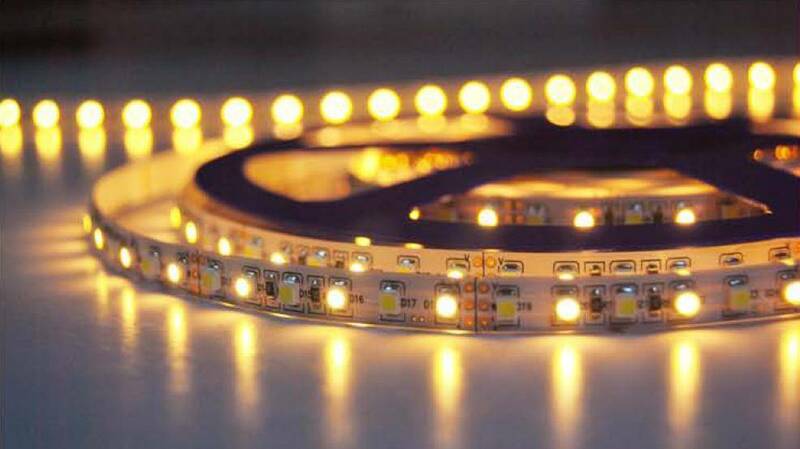 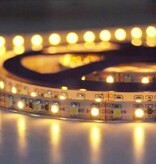 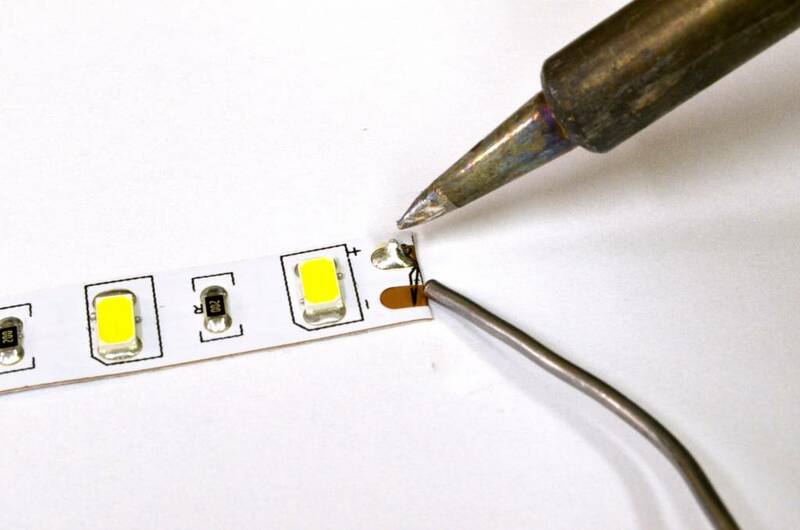 This LED strip contains both white and warm white LEDs. 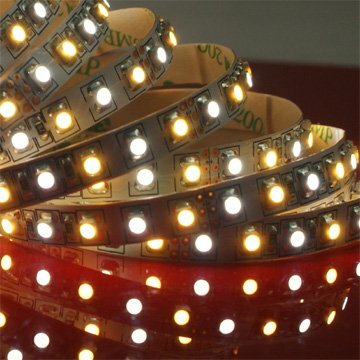 Using a White-Warmwhite dimmer (Accessories -> White-Warmwhite Dimmers) it is possible to adjust the color temperature from warm white to cool white! 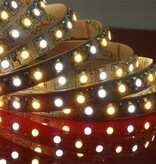 Luminous flux: 1600 lumen per meter. 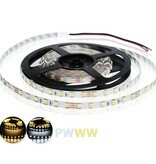 Color temperature controller, special for White/Warm White LED Strips. 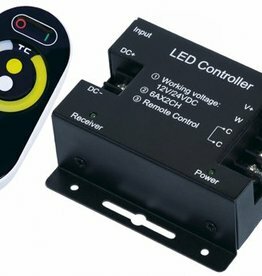 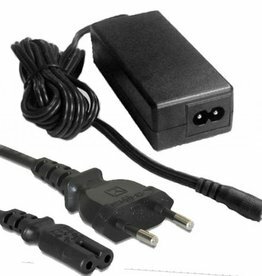 Includes an RF remote. 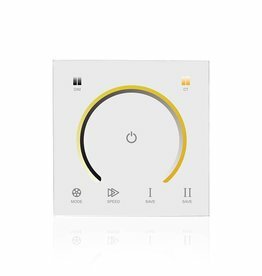 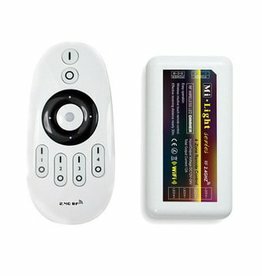 Functions: Selection of color temperature using touchwheel, fading or jumping colors, brightness control, on/off button.